We have to be honest, we stopped carrying bridesmaids for awhile because everything was starting to look the same and we just couldn’t seem to find a designer that we LOVED. Well lovelies, the wait is over. 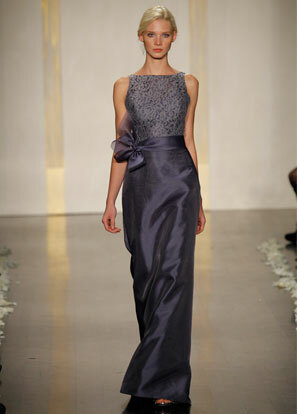 NOIR by Lazaro is everything we love in a bridesmaid line. While we’ve all heard a hundred times, “no really, you CAN wear it again,” this is the first time in a long time that we wholeheartedly agree. Several of our stylists have ordered these gowns to attend special events and even to wear to cocktail parties! This truly is a wearable, yet fashion forward gown collection. To celebrate the arrival of this amazing line, we are offering 15% off any NOIR orders placed before May 1st. Do your bridal party a favor and check out NOIR!